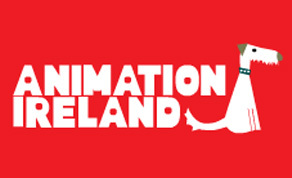 Animation Ireland host the bi-annual awards. The 2019 Irish animation Awards, taking place on Saturday 23rd March will highlight the talent of the Irish animation sector. This year’s ceremony, which is hosted by animation trade association Animation Ireland, has seen a huge upsurge in the number of entries and four new award categories. Among the nominations, this year are the two Oscar-nominated films from Cartoon Saloon, ‘The Breadwinner ‘and ‘Late Afternoon’, as well as nominations for stunning virtual reality animations such as Pink Kong Studios’ ‘Aurora’. Paper Panther’s ‘The Bird and the Whale’ and Brown Bag Films’ ‘Doc McStuffins Christmas Special’ picked up four nominations. However, Gingerbread Animation’s ‘Space Chickens in Space’ is way out in front with seven nominations in total. The bi-annual awards ceremony is sponsored by RTÉ, Screen Ireland, Animation Skillnet, Philip Lee, CelAction, Screen Skills Ireland, Brophy Gillespie and Gorilla Post. Winners of each category will receive a statuette designed by animator, filmmaker and teacher Eimhin McNamara. The statuette resembles a Phenakistoscope, which was an early animation device used to create an illusion of motion. People interested in entering the awards can visit the Irish Animation Awards website for further information about the awards.